William the Conqueror gave The New Forest his special protection nearly 900 years ago - lucky he did, because today it is the perfect location for many activities. The forest, which is located in Hampshire and Dorset, has recently been protected as a National Park. It makes an ideal location for corporate activities and events such as teambuilding, hospitality and conferences. During the holiday season it plays host to large numbers of tourists and has excellent camping facilities and many good holiday cottages to rent. Visitors can take advantage of attractions in close proximity at Lyndhurst, Lymington and Brockenhurst. It is also suitable for short week end breaks. 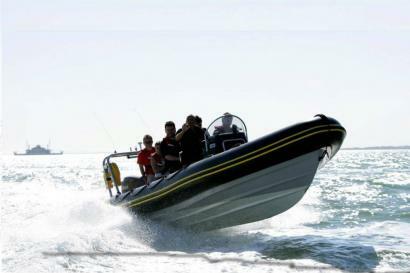 Excellent sailing and water sport facilities are available along the Hampshire and Dorset coasts. The New Forest Park plays host to some of the finest luxury hotels and venues in the country including the National Motor Museum at Beaulieu, Rhinefield House Hotel and Chewton Glen Hotel. These locations are ideal for events as they both have land on which we can run activities. The New Forest is located approximately one and a half hours from London via mainly motorway driving. The regional airports at Bournemouth and Southampton are close and convenient so the prospect of flying into the area is now a viable option.